Microdialysis is a minimally invasive technique that is used for the continuous sampling of extracellular fluid. It is often used to measure the concentration of free analytes that are not bound to carrier proteins in a sample. Serotonin is a neurotransmitter that's partly responsible for feelings of happiness and for mood regulation in humans. Alcohol binge drinking is mostly driven by positive reinforcement, a process in which a rewarding experience (e.g., the euphoria one feels when intoxicated) strengthens the behaviour leading to this experience (e.g., going to a bar). 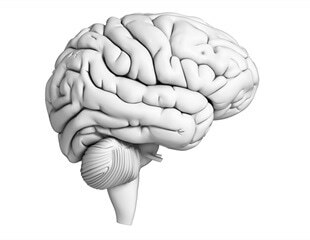 CQDM, Brain Canada and the Ontario Brain Institute award close to $8.5M to six (6) multi-disciplinary and multi-provincial research teams across Canada to address unmet needs in neuroscience within their Focus on Brain strategic initiative. To this amount, $1.5M is added from the various research entities involved as in-kind contributions. Scientists at The Scripps Research Institute have discovered that a brain protein has a key role in controlling binge drinking in animal models. They found that deleting the gene for this protein in mice ramped up alcohol consumption and prevented the brain from signaling the rewarding properties of alcohol. Supplemental folic acid can enhance blood vessel dilation in older adults, according to Penn State researchers, suggesting that folic acid supplements may be an inexpensive alternative for helping older adults to increase skin blood flow during heat waves and reduce cardiovascular events. Widely considered simply a malodorous toxic gas, hydrogen sulfide is now being studied for its probable role in regulating blood pressure, according to researchers. The quality of kidney and liver donations is fundamentally important for the longevity of transplants and the health of recipients. That’s why it’s critical to know which organs are suitable for transplantation, as well as to use techniques that preserve an organ’s function after donation. What makes us happy? Family? Money? Love? How about a peptide? The neurochemical changes underlying human emotions and social behavior are largely unknown. Now though, for the first time in humans, scientists at UCLA have measured the release of a specific peptide, a neurotransmitter called hypocretin, that greatly increased when subjects were happy but decreased when they were sad. Mother rats respond much differently to cocaine than female rats that have never given birth, according to new University of Michigan research that looks at both behavior and brain chemistry. UMass Amherst neuroscientist Luke Remage-Healey will receive the 2012 Frank A. Beach Award from the Society for Behavioral Endocrinology for work showing exceptional promise and significant contributions in the field of behavioral neuroendocrinology. Named after a founder of the field, the award will be presented during the society's annual meeting this week in New Orleans. Remage-Healey will also give a lecture at the society's annual meeting next year. vasopharm GmbH, a pharmaceutical company dedicated to the discovery and development of novel therapeutics for the treatment of cerebro- and cardiovascular diseases, today announces that the explorative phase IIa NOSTRA trial in Traumatic Brain Injury Patients met all clinical endpoints for safety and in addition demonstrated strong evidence of clinical benefit in patients. A University of Arkansas professor and her colleagues will receive $1.3 million over four years to study the immune response to implanted sensors, such as glucose sensors for diabetics, in hopes of prolonging the life of these important monitoring systems. PsychoGenics Inc. today announced the establishment of an exclusive alliance with Dr. Jan Kehr, an internationally recognized expert in experimental neuropharmacology, to provide specialized microdialysis services to complement PsychoGenics’ in vivo testing capabilities. When do you first leave the nest? Early in development infants of many species experience important transitions-such as learning when to leave the protective presence of their mother to start exploring the wider world. Neuroscientists have now pinpointed molecular events occurring in the brain during that turning point. Chronic sleep deprivation in a mouse model of Alzheimer's disease makes Alzheimer's brain plaques appear earlier and more often, researchers at Washington University School of Medicine in St. Louis report online this week in Science Express.